Been absent for a while in this site but definitely wasn't idle. A new feature was added to Mech9 just today. For articles with translated Color Guides and Manuals it will now include a compiled list of the paints used for the build. That way you can just copy paste the list when you go to your hobby shop to buy paints. 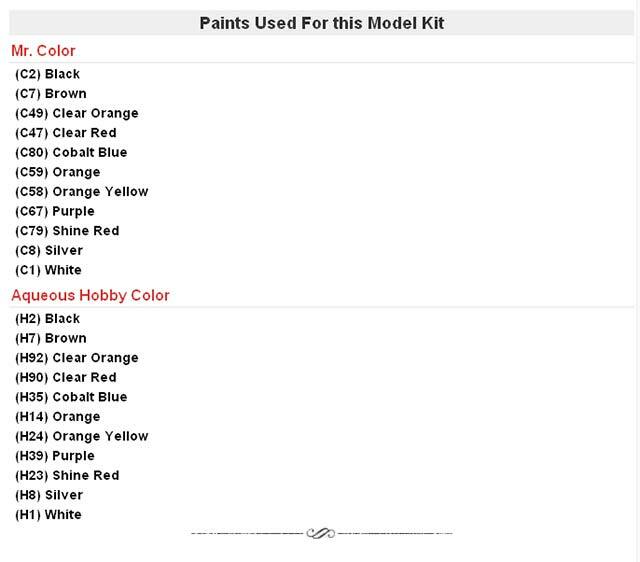 As of now the list of paints are from the GSI Creos line, specifically the Mr. Color, Aqueous Hobby Color and Gundam Marker line. Will definitely add more in the future as soon as I have time. As of now I'm still building the inventory of lists for the older posts but definitely the more newer posts will already incorporate this. You'll probably notice that some lists only have the Aqueous Hobby Color paints and not the Mr. Color. 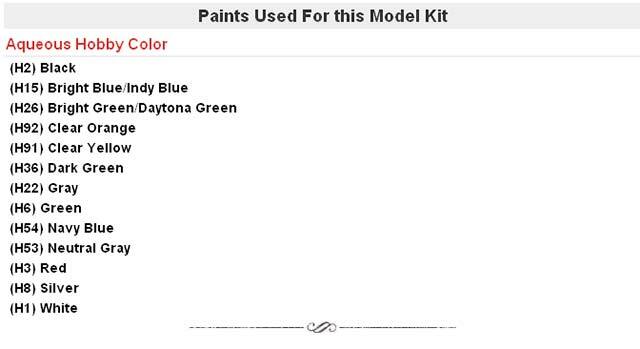 That's because there is no equivalent Mr Color paint for the listed Aqueous Hobby Color paint. This is especially true for the newer kits. I'm assuming that this is because GSI Creos wants everybody to move to the Aqueous Hobby Color line. They say it is much safer to use than the solvent or enamel based lines of paints. Despite that, I'd still recommend to always use a Particle Respirator when painting. It's better to be safe early on than having to pay for it later when you're old. Since we're in that subject, make sure to have a properly ventilated place when painting. Especially if you are painting indoors, you might be wearing a mask but your loved ones aren't. When painting indoors be sure to have a proper painting enclosure with a good exhaust fan that can vent out your fumes so that they don't linger.